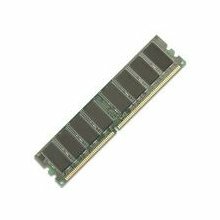 ACP - Memory Upgrades 128MB DRAM Memory Module [PIX-515-MEM-128=AO] - $157.32 : Dealpops.com, Good deals are keep popping up! "Manufacturer: ACP - Memory Upgrades Manufacturer Part Number: PIX-515-MEM-128=AO Manufacturer Website Address: www.addoncomputer.com Brand Name: ACP - Memory Upgrades Product Name: 128MB DRAM Memory Module Marketing Information: Acp-ep Computer's entire line of laptop, desktop, workstation, server and router memory modules allows you and your business to be more efficient. Product Type: RAM Module Memory Size: 128 MB Memory Technology: DRAM"